It’s official! After more than a year of speculation and rumors, Amazon has entered the pharmacy business with its acquisition of PillPack, a small mail pharmacy. 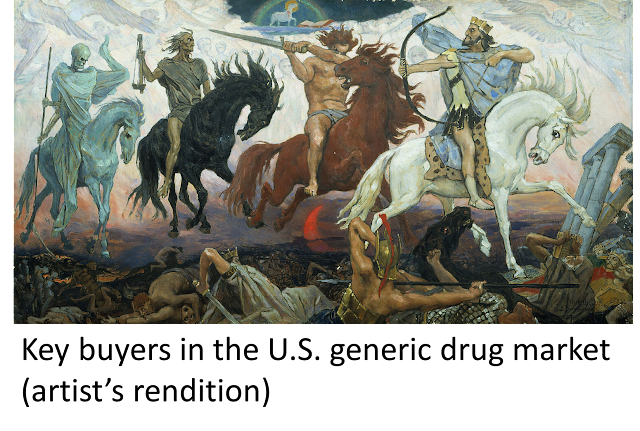 Consider this move to be the end of the beginning for the pharmacy industry's evolution. The stock prices of pharmacies and pharmacy benefit managers (PBMs) predictably plunged yesterday as everyone freaked out. CVS Health, Walgreens Boots Alliance, and Rite Aid collectively lost more than $11 billion in stock market value. Below, I offer my initial observations on the transaction and its impact. But let’s all keep some perspective here. This is a small first step that will let Amazon begin growing a pharmacy dispensing business. We are still a long, long way from a fundamental restructuring of the complex U.S. drug channel. The incumbents still have opportunities to defend their position, capture value from internet technologies, and streamline distribution. However, the prospects of a retail pharmacy shakeout over the next 10 years have just increased. This week, I’m rerunning some popular posts before the holiday week. Click here to see the original post and comments from April 2018. Consumer Reports recently published a fascinating survey of pharmacies’ cash prices for five common generic drug prescriptions. The results were startling. Prescription prices ranged from $66 to $1,351—a nearly 2,000% difference. The big three retail drugstore chains—CVS, Walgreens, and Rite Aid—consistently had higher average prices compared with those of other pharmacies. Independent pharmacies had some of the lowest prices, but also some of the highest prices. Our analysis of prescription profits highlights the pharmacy industry’s unfortunate pricing strategy for cash-pay prescriptions. Average profit margins ranged from $8 to $264 per prescription for the five drugs. We can only hope that consumers didn’t pay the pharmacies’ sky-high cash prices. The results expose the insane soak-the-poor mentality baked into the U.S. pharmacy industry’s historical pricing models. The data also highlight the potential pharmacy opportunity for Amazon. P.S. Before other states follow Maryland and pass laws against price gouging by generic manufacturers, perhaps they should take a closer look at the behavior of their own states’ pharmacies. 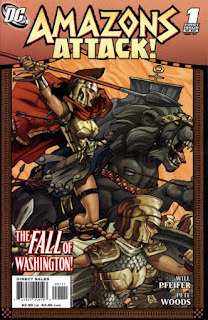 This week, I’m rerunning some popular posts before the holiday week. Click here to see the original post and comments from February 2018. Below, we examine the four generic drug mega-buyers behind this pressure: Red Oak, Walgreens Boots Alliance, McKesson and ClarusOne, and Express Script’s EconDisc. We estimate that in 2017, these four organizations accounted for an astounding 90% of total U.S. generic drug purchases from manufacturers. Read on for our market share estimates, business profiles, and the outlook for 2018. Spoiler alert: The forecast calls for generic pain. Today’s post is a sneak peek at our forthcoming 2018 Economic Report on U.S. Pharmacies and Pharmacy Benefit Managers. The new edition will be bigger than better than ever. 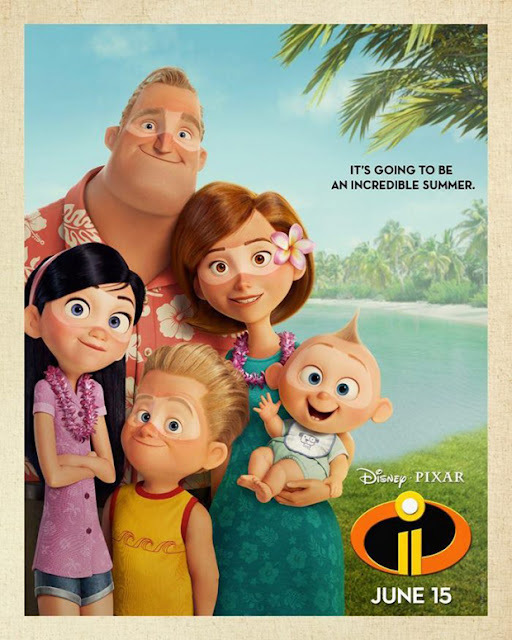 Look for it on February 27! In 2017, the gross-to-net bubble—the ever-growing pile of money between a manufacturer’s list price for a drug and the net price after rebates and other reductions—hit a new high. Based on new data from IQVIA, manufacturers of brand-name drugs in 2017 reduced list price revenues by an astonishing $153 billion. Those reductions came primarily from rebates, discounts, and other payments to the drug channel. That figure has grown by 10% from the 2016 figure, even though net prices for brand-name drugs grew by only 1.9%. 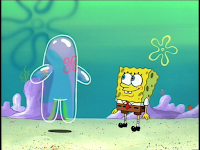 We can no longer ignore the warped incentives created by our bubble buddy. As regular readers know, I think plan sponsors and insurers should be more transparent about what they do with the billions collected via pharmacy benefit managers (PBMs) from manufacturers—or even be forced to pass through these rebates to point of sale. Read on and let me know what you think. 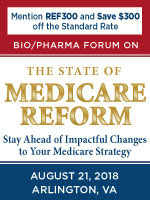 CBI’s CPE and CLE accredited Bio/Pharma Forum on the State of Medicare Reform is a one day intensive providing tangible knowledge and strategies necessary to gain clarity on the current political landscape impacting bio/pharma manufacturers with regards to Medicare. Taking place on August 21 in Arlington, VA, CBI invites you to take this opportunity to come face-to-face with government, associations, health plans and bio/pharma professionals to get the answers to your most pressing questions about navigating uncertainty. 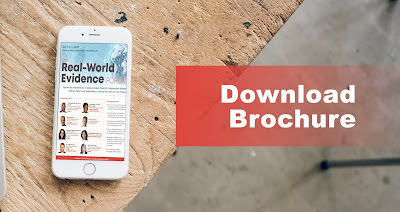 You and your team will walk away from the conference with solid tactics for overcoming Medicare policy challenges and an online playbook filled with presentations to utilize as a best practices resource. Visit www.cbinet.com/Medicare to view the complete speaker and session lineup, then register using discount code REF300 for this exclusive savings of $300* off. *CPE and CLE credits pending approval. Discount expires 8/21/18; cannot be combined or applied to existing registration. Other restrictions may apply. Plus: a major social justice win for your humble correspondent. P.S. Follow my daily links to neat stuff at @DrugChannels on Twitter. Recent tweets have covered new drug spending data, M&A news, pharmacy benefit manager (PBM) activities, retail clinics, copay accumulators, track-and-trace, and more. Here’s your must-read summer book: Bad Blood: Secrets and Lies in a Silicon Valley Startup. It’s the thought provoking and gripping cautionary tale of Theranos, a business that raised $900 million to “disrupt” the lab testing business. Alas, Elizabeth Holmes, the company’s founder and CEO, and her former chief commercial officer appear to have misrepresented and falsified almost everything about the company and its technology. Last week, they were both indicted by the Justice department. Bad Blood is one of the best non-fiction business books I have ever read. Drug Channels readers may enjoy some schadenfreude about the hapless behavior of Walgreens’ previous management team. I’ve selected a few choice highlights below. But trust me: The whole book is a great read. 2018 brings an unprecedented focus by Congress and the Trump Administration on the size, purpose and integrity of the 340B program. At CBI’s 340B Manufacturer Summit, hear from national experts as the policy discussions and opportunities for input continue to evolve. From the President’s Blue Print on Drug Prices to the recently released HHS RFI, 340B remains a hot topic. 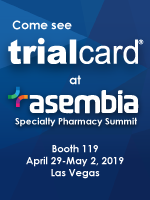 Break down and clarify impending regulations, gain strategies to develop comprehensive self-disclosure response and auditing processes, while establishing best practices to collaborate with contract pharmacies and covered entities. You can read all about it here. Drug Channels readers will save $300 off the standard rate when they use discount code YDR528 and register prior to July 20th. Speakers include representatives from the The Alinea Group, Apexus, Arnold & Porter, AstraZeneca, Bristol-Myers Squibb, CiiTA, LLC, Feldesman Tucker Leifer Fidell LLP, Gilead Sciences, High Point Solutions, King & Spalding, North Carolina Department of Health and Human Services, Pfizer, Sidley Austin, University of Rochester Medical Center and more. Visit www.cbinet.com/340B for further details and to register. Drug Channels readers will save $300 off the standard rate when they use discount code YDR528 and register prior to July 20th. Today’s guest post comes from Lily Duong, Chief Clinical Officer at Therigy. Lily discusses new migraine treatments that treat or prevent chronic and episodic migraine headaches. She highlights how these therapies will challenge specialty pharmacies. 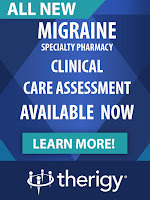 Therigy has developed a migraine therapy management solution to assist specialty pharmacies with patient management. To learn more, schedule a live demo of the TherigySTM™ migraine care plan. Read on for Lily’s insights. 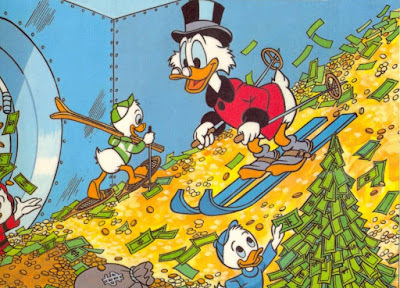 Time for my annual review of the Fortune 500 list. 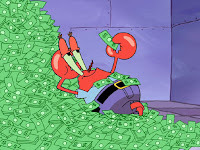 Every year, this is one of my most popular posts, because it helps us follow the dollar and understand how drug channel intermediaries make money. Our analysis also provides crucial background for understanding the Trump administration's drug pricing blueprint. Fortune’s 2018 list contains the same seven drug channel companies that the 2017 list did: AmerisourceBergen, Cardinal Health, CVS Health, Express Scripts, McKesson, Rite Aid, and Walgreens Boots Alliance. Using the Fortune data, I explore the profitability and shareholder returns of the largest public drug wholesalers, chain pharmacies, and pharmacy benefit managers (PBMs). I compare these companies with the Fortune 500’s eleven pharmaceutical manufacturers and with a separate survey of independent pharmacies. Alas, this may be our final review of the list, because by this time next year two companies—Express Scripts and Rite Aid—may no longer exist as independent public companies. In the meantime, let’s enjoy the crazy complexity of the U.S. drug distribution and reimbursement system. 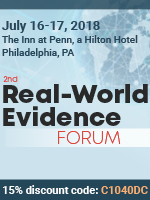 ExL Events invites you to the 2nd Real-World Evidence Forum, taking place on July 16–17 in Philadelphia. This intimate forum will bring together leading marketing experts and senior-level executives to discuss patient and HCP engagement strategies to build effective disease awareness campaigns to disseminate educational information. Register here and use Discount Code C1040DC to save $200 off your registration! Attendees will gain a better understanding of how electronic data sources are changing the way real-world data are collected. This conference will offer attendees insight on how real-world evidence will help decrease costs and development timelines, define innovative outcomes, and minimize the number of patients exposed to less useful medications. The forum’s elite-speaking faculty will discuss how to utilize real-world evidence to demonstrate both clinical effectiveness and cost-effectiveness of your product. 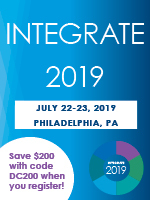 ExL Events looks forward to meeting you in Philadelphia in July! Today’s guest post comes from Carl Schmid, Deputy Executive Director of the AIDS Institute. The AIDS Institute studied health plans in Florida and uncovered a troubling reality: Patients are often unable to find out if their plan has a copay accumulator adjustment program. Even when the information was somehow available, it was vague and ambiguous. It’s an important article about the misleading marketing and incomplete disclosure of a crucial benefit detail. Read on and see what you think. Pharmaceutical wholesalers are no longer growth companies. They are struggling with ever larger customers, ongoing generic deflation, and the downsides of specialty pharmacy. McKesson has illustrated these challenges in the financial results for its 2018 fiscal year. (See the links below.) The company projects that its 2019 fiscal year distribution profits will be flat to negative, due to customer losses and/or lower margins from contract renewals. Like its peers, McKesson faces an uncomfortable conflux of uncommon customer crosswinds. 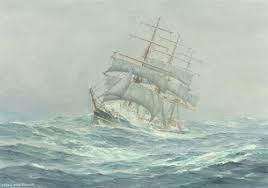 Investors are surely hoping that rough seas make good sailors. 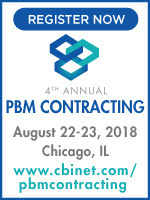 Now in its 4th year, CBI’s PBM Contracting event is dedicated to the complexity and challenges of negotiating and implementing contracts between PBM’s and payers, employee groups, government entities, specialty pharmacies and manufacturers. Delegates will gain insights into the latest market and legal complexities affecting PBM contract negotiations, learn how to enhance the value of contracts by gaining a deeper understanding into issues like contractual terms and negotiated obligations, specialty drugs, value based contracts and much more. Don't be left out of the critical conversation. Register by 6/29/2018 and receive $400* off the standard rate with discount code DCS400. *Offer expires June 29, 2018; applies to standard rates only and may not be combined with other offers, category rates, and promotions or applied to an existing registration. Today’s guest post comes from Joseph Morse, CEO of Therigy. Joe describes challenges faced by specialty pharmacy leaders and Therigy’s solution for achieving a high performing, integrated specialty pharmacy service model. 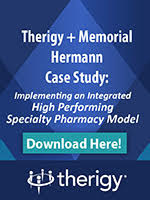 You can also download Therigy’s case study: Memorial Hermann Realizes Significant Care Enhancements and Cost Savings by Bringing Specialty Pharmacy Services In-House. This case study explores how the largest health system in southeast Texas developed internal specialty pharmacy services. Read on for Joe’s insights.